Capacitor Bank Assembly Completed and Initial Design Completed. Test Coils and Projectiles created. Barrel Mount, Injector, and Main Assembly Completed. Detect, Delay, and Pulse Width Modulation Board Competed. Switching and Snubbing Modules Completed. 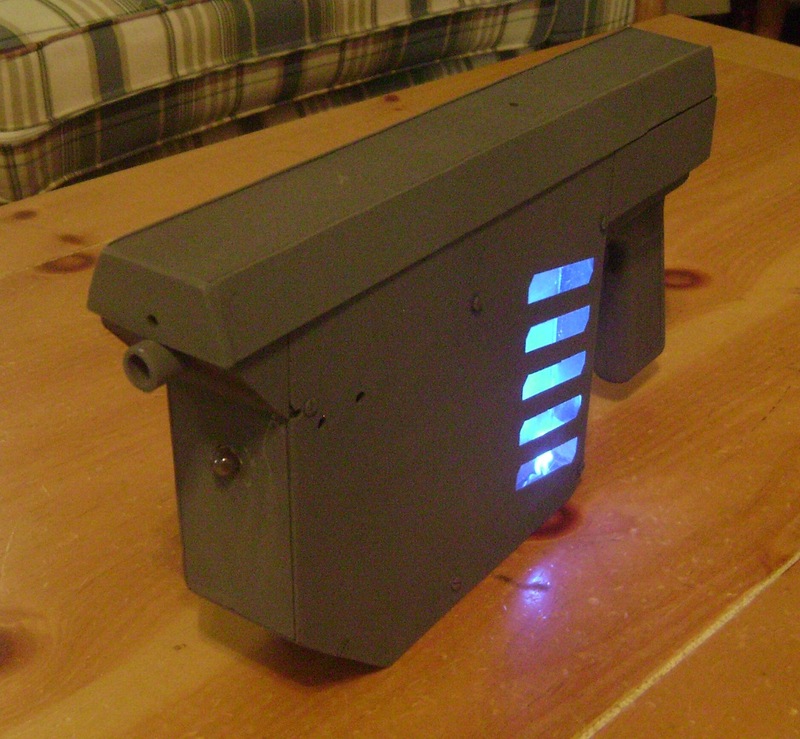 Laser Sight and LED Flashlight Installed. Display and Interface Board Completed. The PA-4 is meant to be an evolution of the PA-III-B in terms of technology and design. It includes a boost converter, blue LED Display, user interface, as well as a timing system for the best possible efficiency for a single stage thyristor driven coilgun for the stored energy level.